All new local space heating systems must be LOT 20 compliant from 2018. From the 1st of January 2018, a new energy efficiency directive on all local space heaters will be implemented. This regulation is known as LOT 20 and derives from an EU Commission Regulation which has been transposed into UK law. This new regulation comes as part of the EU’s commitment to drive efficiency at all levels of the supply chain, from production to final consumption. LOT 20 states that all local space heaters manufactured for sale in the UK after January 1st 2018 must comply with a minimum efficiency standard. The primary aim of LOT 20 is to rule out inefficient technologies and to reduce the amount of energy used in our homes. This will bring the EU one step closer to achieving overall carbon reduction targets. It is more than likely that you already have a local space heater in your home. Local space heaters generate heat for indoor spaces in the exact same place where they are situated (on-the-spot heat). They use electricity, gaseous and liquid fuels to generate heat and examples include electric radiators, electric underfloor heating and electric and gas fires. What are the LOT 20 requirements? Open window/door recognition control. The heater will reduce energy usage if a door or window is left open in the room. Must meet a minimum seasonal space heating energy efficiency requirement. The LOT 20 regulation is not retrospective, so existing systems in place will not be affected. This means you can keep your old space heater, but you won’t be able to buy a non-LOT 20 compliant heater starting 1st January 2018. Which LOT 20 products are recommended? PlumbNation sell a wide range of LOT 20 compliant heaters that are perfect for almost any home. This includes convector heaters, panel heaters, storage heaters, portable heaters and gas and electric fires. For homes that are off the gas grid, electric heaters are a fantastic option. Electricity is a renewable energy source and unlike gas systems, electric heating allows you room-by-room control. For a 100% energy efficient solution, the ecoSAVE electric heater from the Electric Heating Company offers unbeatable performance and is LOT 20 compliant. Sleek and lightweight, the ecoSAVE heater has no installation costs and simply plugs in. It is 24/7 programmable and features ‘frost’ ‘economy’ and ‘comfort’ modes for lower running costs. For those who love their tech, the ecoSAVE also comes with a wifi pack that allows you to control your heating on demand via a phone app. 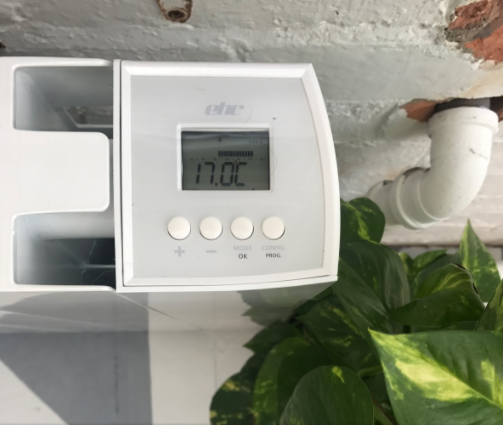 ‘The Electric Heating Company welcomes this new regulation and the drive to reduce the energy used to heat our homes through more efficient technologies. EHC are well prepared for this new regulation with the EHC DSR Combination radiators, launched in January 2017, and the ecoSave Dynamic Electric Heaters, launched in 2015, providing proven solutions for LOT 20 purposes. EHC would encourage any consumer who has queries or concerns about this new regulation to contact us and we can provide further information and assistance.’ Calum Black, Electric Heating Company.